Peppermint. Not only does peppermint soothe an upset stomach, but it also helps to relieve sore throats and other cold or flu symptoms. Tea is a popular choice to reap the health benefits of peppermint, but you may also inhale the essential oil to decongest the sinuses. Add a few drops on a small cloth and place near your nose. Then take a few deep breaths to inhale this refreshing mint. Peppermint contains vitamin A & C, magnesium, calcium, potassium, iron, and omega-3 fatty acids. Avoid during pregnancy. Honey & lemon water tonic. Hot water helps to soothe the throat and prevent viruses from spreading. So pair it with some honey (preferably raw and organic) and fresh lemon juice. The honey coats the inflamed throat while the lemon acts as an astringent, thereby shrinking the swollen throat. Honey treats coughs and reduces inflammation and fevers. Lemons are antiviral and a good source of vitamin C, vitamin B6, and potassium. 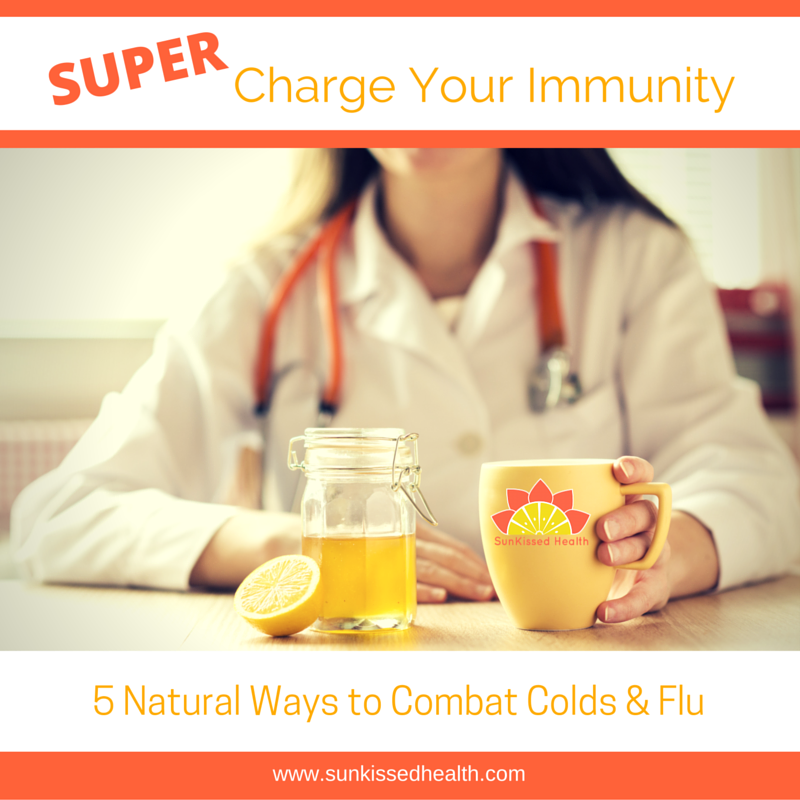 Vitamin C. Eat plenty of foods that are rich in vitamin C. Supplements are also an option, but I recommend getting the healing benefits through whole foods like citrus fruits, as they help the body fight infections. Drinking fresh fruit juices is also an excellent way to get your dose of vitamin C.
Garlic. An immune-boosting herb which boasts antibacterial properties. It can be used preventatively or to speed up recovery. Considered to also be good source of vitamin C.
Elderberry extract or syrup. Also known as sambucus nigra, the elder tree possesses antioxidant properties that support the immune system. Not surprisingly, it contains a large amount of vitamin C. You may also drink tea made from elderflowers, which helps relieve cold symptoms. Moral of the story? Get yourself some Vitamin C! Pay attention and listen to your body. You may be able to stop sickness in its tracks before it fully manifests. Take time out to rest. This is especially important, no matter how many things you have going on in your life. Rest is probably the first and foremost way for your body to heal. Drink plenty of fluids. And you know this. Stay warm. Always wear socks to keep the feet warm and sleep with plenty of blankets. My favorite wintertime ritual is to take a hot bath and add in some Epsom or sea salts and a few drops of essential oils like lavender, eucalyptus, tea tree, or peppermint. 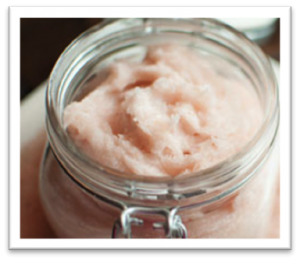 Check out the healing recipe below for making salt scrub to use in the bath or shower. Eat warm foods. Soup is a great option, and you can flavor it with warming foods/spices such as garlic, onions, cayenne pepper, or cinnamon. Bonus Tip: Melissa Farris, of the organic essential oil company, Veriditas Botanicals (www.veriditasbotanicals.com), suggests using their Immunity Boost blend with a dry brush before taking a hot bath. Dry brushing helps to stimulate the immune system, thereby increasing your body’s immune response to illness. Just add a few drops of this essential oil blend onto the dry brush, and brush in a circular motion, moving towards the center of the body. You can find dry brushes and essential oils at your local co-op. Each essential oil has its own healing benefits so be sure to consult the bottle and reference guides. Make your very own salt scrub for increased immunity, rejuvenation, and detoxification during the winter months. scoop out a handful while in the shower or bath. Rub all over body and rinse. Use weekly for a healing, spa-like experience. Enjoy! Hardy, M.L. & Gordon, D.L. (2010). Best remedies: Breakthrough prescriptions that blend conventional and natural medicine. New York: NY, Metro Books. Shealy, C.N. (2002). The illustrated encyclopedia of healing remedies. London, UK: Element. Sullivan, K. (2010). The complete illustrated guide to natural home remedies. New York: NY, Metro Books. I am SO excited I found this post! I am an esnatsiel oil lover and use only therapeutic grade oils (not the fragrant/perfume kind that are actually toxic!). I am going to make these and give them as Christmas gifts! Thanks! You have inspired me! Your pictures are beautiful! Bless you!